I don’t run a law firm but I have visited many over the years and I can say yes, there are many paperless, or paper-light, law firms operating today. I have seen them and it really does work. 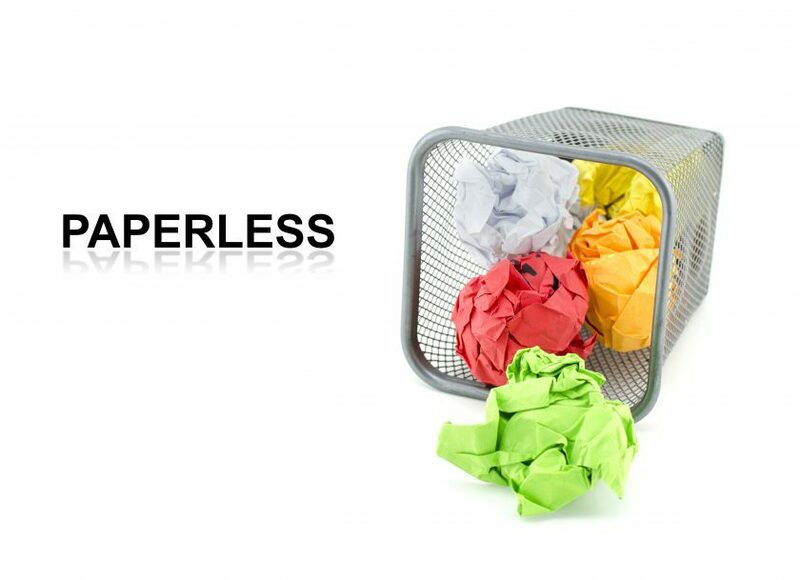 Changing from paper to paperless takes courage and the acceptance that properly stored electronic data is far more secure, safe and accessible than we ever thought possible. Our work habits have also changed dramatically so we need to ensure we have the right technology. The smartphone and tablet is having as profound an impact on how we work as the PC did a generation ago. The way forward is to use a system that integrates your matter, document and accounting requirements in a single application. And to ensure that it is easy to use wherever you are, a cloud based system is best. A good scanning system is critical to support this process, and you should be able to scan conveniently to a matter directly from a flatbed scanner next to you on your desk. Every document in every form should have its original stored against the matter. If you do this you are almost halfway to achieving your objectives. With a good system whenever you create a piece of correspondence or other document, the new document will automatically be associated with the matter you are working on. If not, you should be able to easily add it to the matter. If you send documents to your clients and then have to scan them in order to add them to your document management system, well… it is time for an upgrade. Whether a simple letter, a complex family court form or a deed of trust, you should have these easily available, when needed. A good system will provide you with a stock of off-the-shelf forms and precedents, and easily incorporate your own precedents into the system. If there is only one place to store the document, then there is only one way to find them. If you’re relying on your bookkeeper to produce your bills, then it’s time for you to consider the modern solutions available to lawyers. With a good system you can easily find, view, create and email a bill, all without a bookkeeper, or piece of paper, in sight. Leading technology can produce and email reports as scheduled, removing any need to keep a paper copy. The same applies for receipts – every transaction is available for you to access at any time. Your system needs to have a comprehensive searching tool so you can find the transactions or reports quickly. Marking your attendance records in a paper file or even on a specially created paper ‘timesheet’ is inefficient, often inaccurate, and the cost of these errors can be enormous. If you just record all attendances on your smartphone or desktop as they occur, accuracy goes through the roof and so will your billings. Whether you use yellow ‘Post It’ notes attached to a letter in the file, or even have specially printed paper file notes, neither of these methods can match the accuracy of an electronic note made directly into a matter record. Electronic notes are time stamped and display full details, – they are the ultimate record of your work.